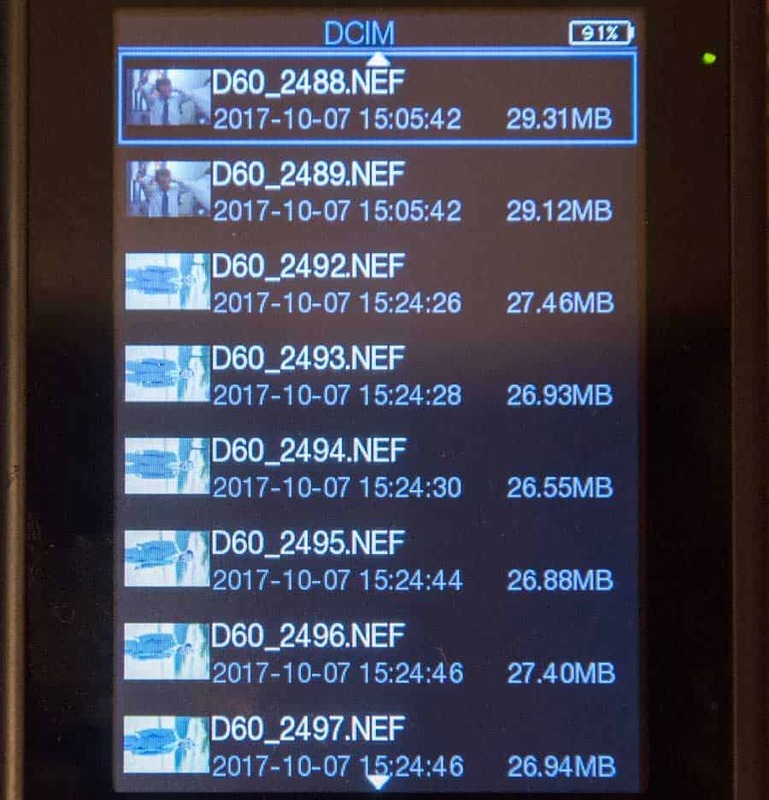 Have you ever run out of space on your memory card while shooting or have you ever lost images? I’ve actually had both happen, and both situations were horrible. When I first started shooting weddings, I only had maybe three memory cards and the biggest was around 500mb, which was a decent size for back then but not huge. I remember on one of my first weddings, I was running low on space and there was still an hour left of the reception. I started having to delete a bunch of shots off of the card as I went. As they did their exit, I got off about 7 shots and I ran out space right as they passed me. I was lucky, and after that, I bought bigger cards. Another time, I was uploading photos late one night after the wedding. Nikon does this thing where it makes new folders on the card when you reach a certain number. Well, I somehow missed the second folder on one card and ended up losing 100 photos. Unfortunately, I didn’t realize this till a month or so later, and I couldn’t recover them from the card. You live and you learn, and now I avoid both of these situations by using Sanho Colorspace UDMA 3 portable storage drive to backup my photos. 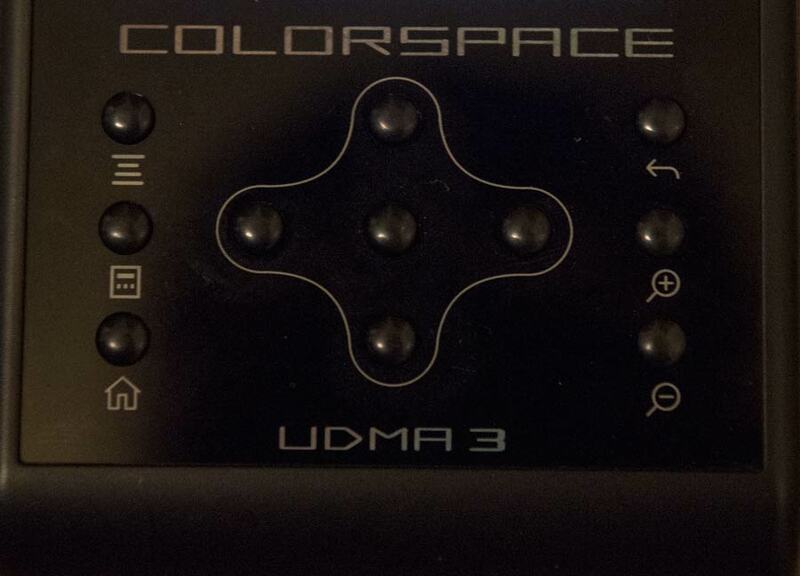 Read my Colorspace UDMA 3 Review to see if it's a good option for you as well. Why would you need the Colorspace UDMA 3? This device isn’t for everyone. If you only bring your camera with you to take photos of your kids or just a few random snapshots, you don’t need this. If you never fill up a memory card, you probably don’t need this as well. The Colorspace UDMA 3 is for people that take a ton of pictures and need to back them up on the go. This would be great for travel photographers. Lugging around a laptop is a real pain, but bringing this device would be much easier. The same goes for wedding photographers. I never want to lose photos again, so I like having multiple copies as I shoot. Throughout the wedding day, I can use the Colorspace UDMA 3, and now my photos are on two separate devices. I also use it to get photos from my second shooters if they're using their own cards. After using the Colorspace UDMA 3 for some time, there are some really great things about it, and then there are some things that just frustrate me. We’ll take a look at the interface, the memory card slots, the speed, the build, the hard drive, and the battery life. Sometimes I hate, hate, hate products because their menu system and screen stink. That’s not the case here. 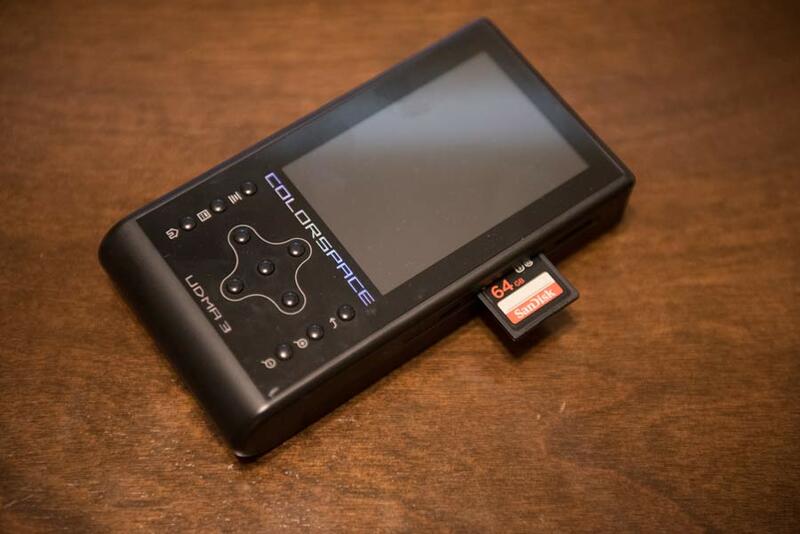 The Colorspace UDMA 3 has a large, bright screen. It’s roughly 2×3 inches. In darker environments, you’ll have no problem reading the screen, but it also does pretty well in the bright sun. You’ll have to squint a little bit, but I have still been able to make it work. When viewing photos on the screen you’ll be able to identify the photos and zoom in if needed, which is pretty important when it comes to looking at the photos. I’m not a big fan of reading instructions, so I was happy with how easy it was to figure out the buttons and menus. On the front, you have a total of ten buttons. Five of them are used for navigations and selection. The others have images that indicate their purpose. Some are pretty easy to figure out (zoom in and out, back button, and home) while the others might not be as clear. After a little experimenting, I figured out the top button on the left was the menu button and the middle left was the display mode. Pretty simple. The menu is just as simple and easy as the buttons. On the main screen, there are only 6 options. A large portion of them you won’t use very often and import is the first option, so it’s very quick and easy to understand. 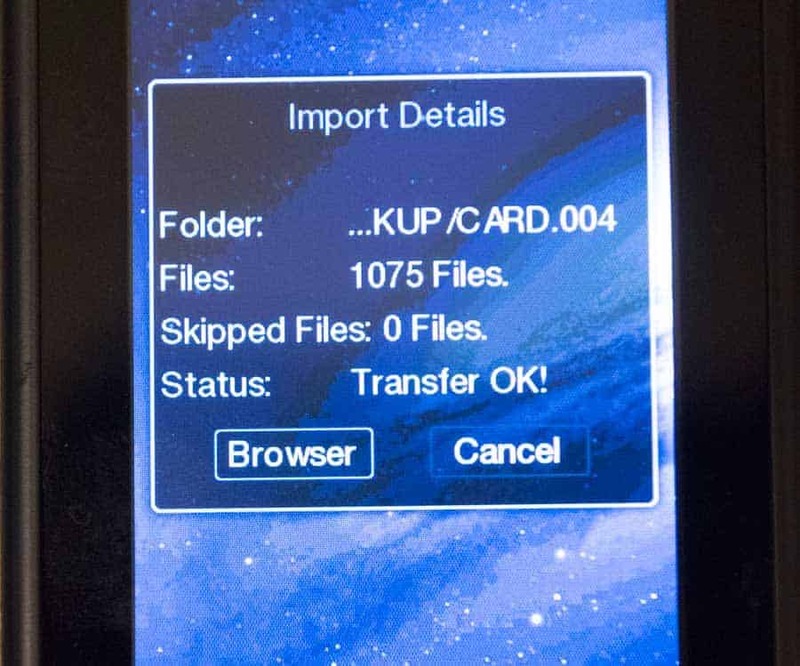 Once you go to Import, it finds your card, and you either hit Import All and it is saved to a separate folder, or if you choose Import Incremental to choose a folder and if you’ve already added some of the photos from the card. For me, while I’m shooting, I use the Import Incremental. This way, I add photos, and then later I can add more to the same folder, and the whole time the images stay on my card. The memory card slots might not seem like a big deal when looking at a portable storage device, but it can affect a lot of things. The first thing to consider is what type of cards can be used. The Colorspace UDMA 3 comes with two SD slots and one Compact Flash slot. I was actually surprised to find two SD slots, and it’s been awesome. It’s so nice to be able to put two SD cards in at once. The majority of cameras these day use SD cards, so most people will be happy with the memory slot options. Some people will still use the Compact Flash slot, but I wonder if that space could have been used for something else (possibly a third SD slot?). There is something a little different about the slots. For one SD slot, the card gets pushed all the way into the device. It’s a little tricky to get it to stick, but not difficult enough to be a problem. I do like that the card is all the way in and not sticking out. This will keep it from getting hit. The second SD card slot, though, doesn’t go all the way in and leaves it exposed. I know it’s probably a space limitation, but I wish all the cards would go completely in. As a wedding photographer, I am super busy when I’m shooting. Time is usually limited, so I’m running from one thing to the next. I don’t really have time to sit around and wait for a memory card to be copied. Speed is really important! Normally, I will shoot for part of the day, and then upload. I’m usually uploading around 10-15 GB at a time. I keep myself busy, so I don’t really know how long that takes. I did a test, though, and it took roughly 20 minutes to copy about 30 GB. It was running up to 30 MBS. Of course I would like it to be faster, but as long as you divide the process up, it is usable. Unfortunately, I’m rough with my equipment. I tend to run into things and drop things and toss stuff in my vehicle. If something is cheaply made, it will probably get broken. 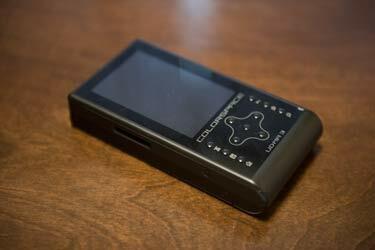 I’ve had no issues with the build of the Colorspace UDMA 3. It’s made of plastic, but it feels nice and thick. The same goes with the buttons. They feel firm, and I think they’ll last. I would still recommend caution when handling the Colorspace UDMA 3. Hard drives and screens are known for getting broken in all devices, so you want to treat it with care. Luckily, it does come with a soft protective case. That should help out some with all the wear and tear. 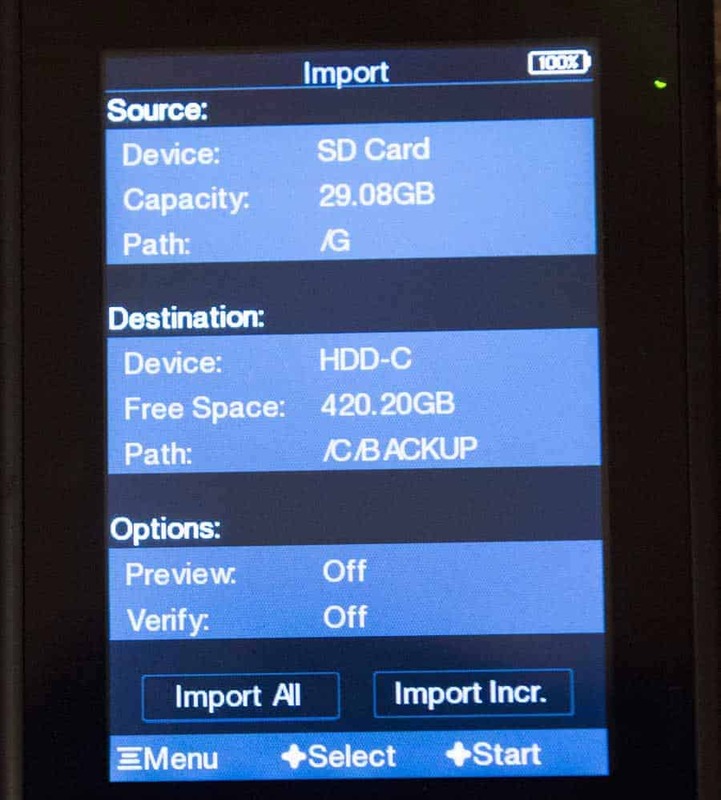 There are a few options when it comes to the hard drive in the Colorspace UDMA 3. There are some that come with a hard drive installed, and you have options from 500 GB up to 2 TB. I went with the 500 GB because there's no way I would fill that up in a wedding day. If I was mainly using it for video over a few days, then yes I would have considered a bigger size. 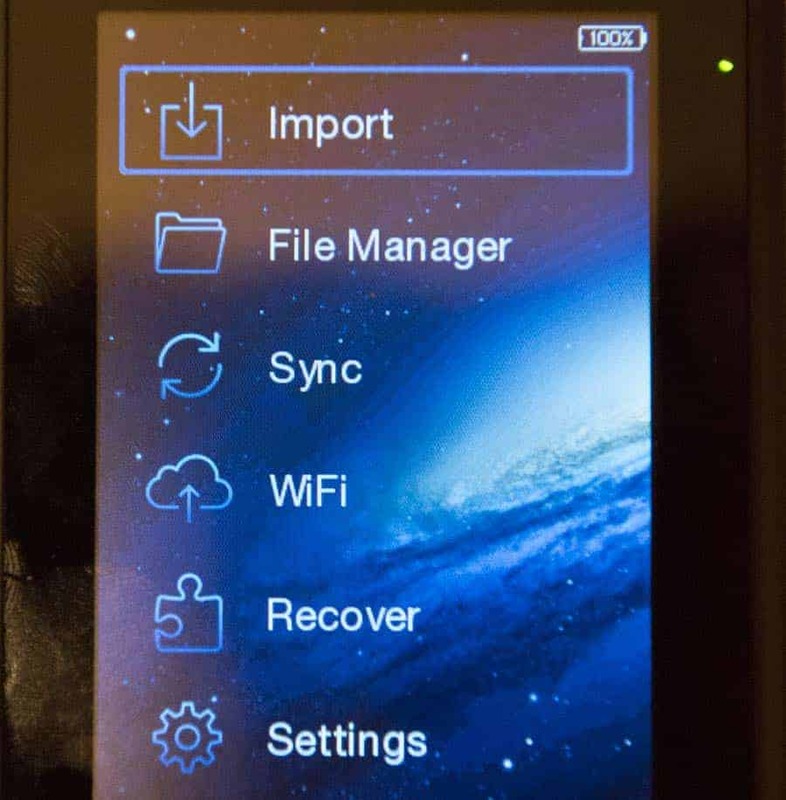 There is also the option to just buy the shell, and then you'd install your own 2.5″ drive. If you already have one sitting around or if you're looking to save some money, this might be the best route to go. So far I've had no issue with the hard drive. I've never lost any photos or had any kind of corruption, and things have run smoothly. I imagine these will last longer than most hard drives because really, they are only being used to upload and transfer. My other hard drives are constantly being used with my computer, so they are almost always working. I don't have any tests to back this up, but it was just a thought. Here’s the one area where I have issues. I need this device to have enough battery life to last a whole wedding day and not die on me in the middle of an upload. Now, the actual battery life isn’t the issue. I haven’t been able to truly test out how long the battery life is. It could be a long time or not. The problem is I can’t tell because the battery meter is not reliable. After charging the battery, the meter usually reads around 70%. This scares me away from pushing it too far in fear of it shutting off. I’ve done some reading on the forums, and it seems like this is a common problem with the Colorspace UDMA 3. 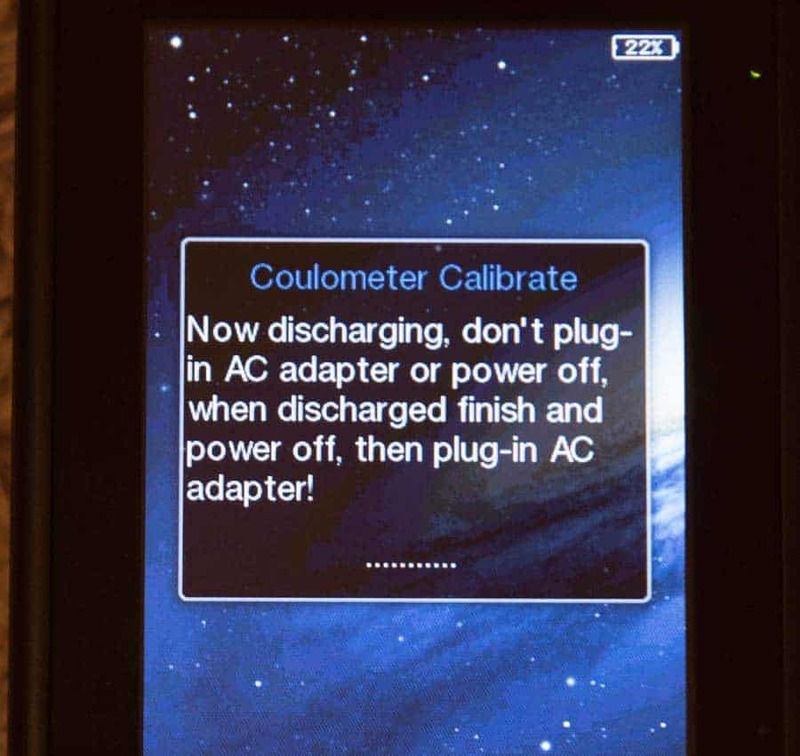 There is an option to try to fix the battery issue called Coulometer Calibrate. In this mode, it runs down the battery, and when you charge it back up, the meter will be fixed. I’ve tried it a few times, and I have got it back to 100%, but it does creep back down to that lower starting point. Overall, I’m not a fan of the battery life. 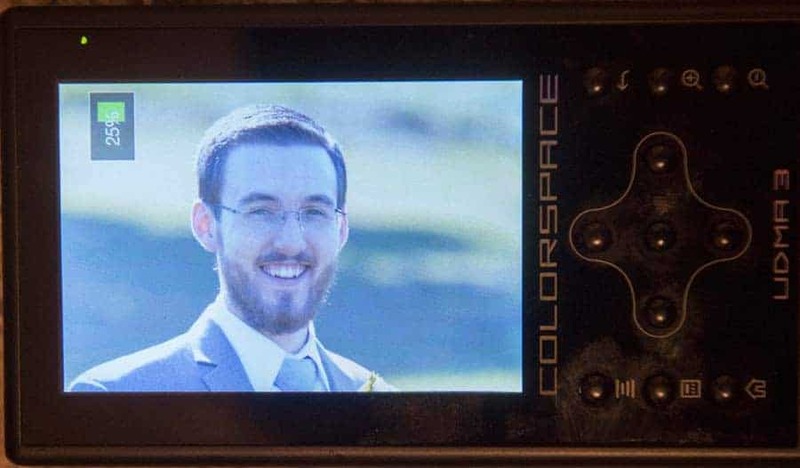 I’ve never had it die on me at a wedding, but I can’t really trust it, and it’s annoying having to use the Coulometer Calibrate mode to get it back to 100%. When I started looking into a portable storage device, there weren’t a ton of options. The main competitor was the Nexto DI. The two devices are pretty similar, but the Nexto DI was more expensive, and didn’t seem as popular. Now, there is another product on the market that might be a good option, the Gnarbox. It’s got some good features, but it’s also missing some. On the good side, The Gnarbox can connect to your phone, and you can edit video and photos that way. On the bad side, it doesn’t have a Compact Flash slot (which might not be important to most people) and it doesn’t have a screen. This means you’d have to have a phone to really see what’s going on, and to probably use it at all. If I were to buy a portable storage device today, I’d still choose the Colorspace UDMA 3 over the other options. With all things considered, I personally love the Colorspace UDMA 3. Yes, the battery meter is a pain, and I wish it was a little faster, but to fix those issues, I’d probably be spending over $1000 instead of the $500 for this unit. Besides that, I’m really happy with how everything works, and it has given me a peace of mind when it comes to protecting my photos. If you’re a wedding photographer, do a lot of traveling, or just want to be able to download and backup your photos without a computer, I’d suggest you check out the Colorspace UDMA 3.